A mini replica of Innit's original Acapulco Chair, the Baby Acapulco Chair is perfect for adding stylish seating to smaller spaces. It's light enough for easy transport, and comfortable for both children and adults. 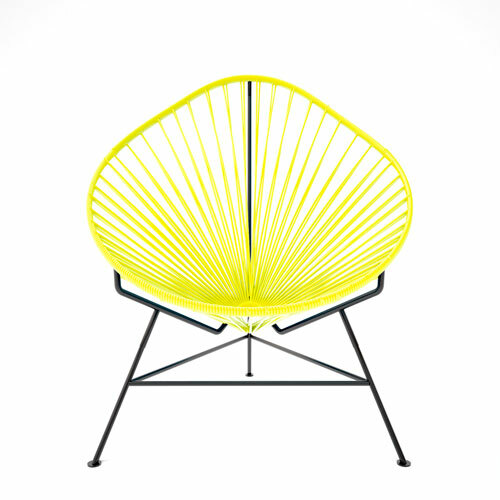 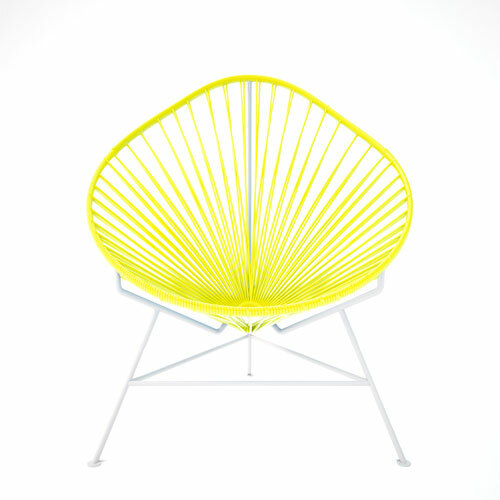 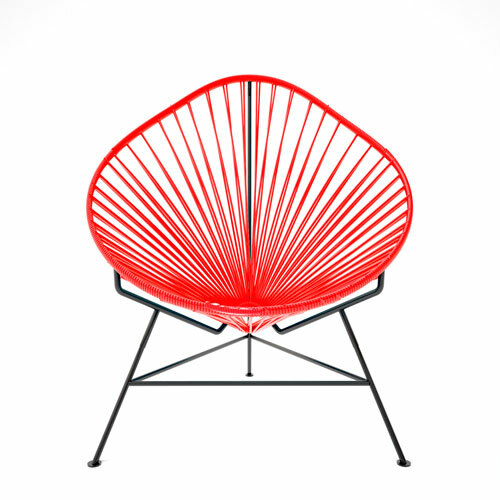 This outdoor lounge chair features a retro-modern design created by combining a sturdy steel tripod base with an avocado-shaped seat. The seat is made from flexible yet durable vinyl cord that is woven together using the traditional Mayan hammock weaving technology. 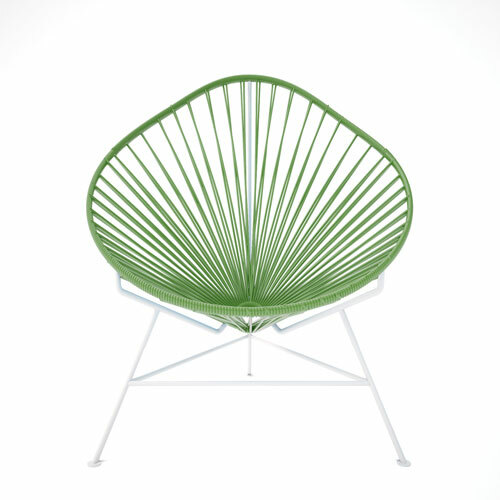 This distinctive seat is not only stylish, it also provides ergonomic support as the woven vinyl comfortably cradles your body. Brimming with versatility, the Baby Acapulco Chair can be used in a variety of settings and can even be kept outdoors with its combination of UV-protected vinyl and rust resistant galvanized steel. Choose from a variety of base finish and seat color options to create a chair that is unique to your personality and modern d�cor.